Summary: Yura arrives at Stella Girl's High. 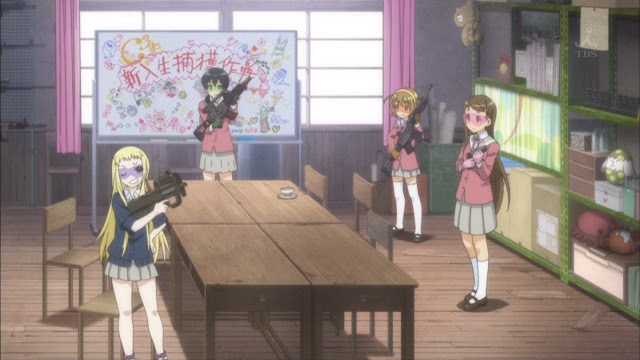 She's immediately dragged into joining "C3" club, a club that plays survival games with airsoft guns. First impression score: 84 - Um, K-ON! with Guns?